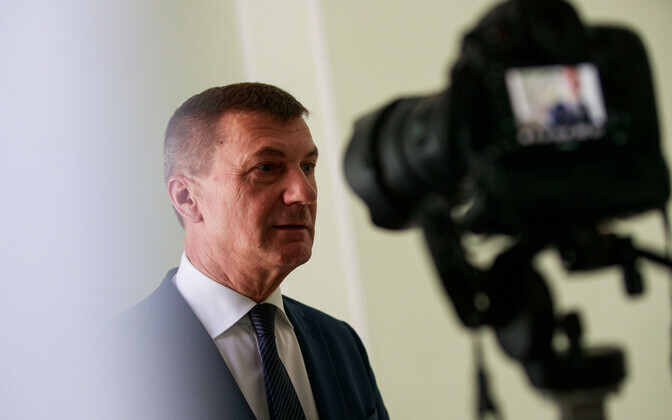 Former prime minister Andrus Ansip (Reform) says ruling Centre Party has caused a level of tax chaos the next government will have difficulty resolving. ''Under the current excise duty regime we have effectively donated €216 million to Latvia,'' said Mr Ansip on Kuku Radio's ''Maker of the Week'' ("Nädala tegija") show, referring to the widely unpopular alcohol duty hikes of recent years, which have boosted alcohol purchases in Estonia's southern neighbour. Mr Ansip presumably had an eye on the next coalition being predominantly yellow (the Reform Party's colour – ed.). 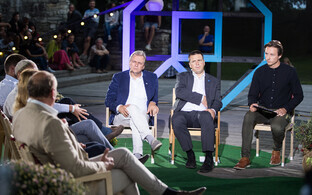 ''The current prime minister says that it was [Mr Ansip's successor] Taavi Rõivas who started raising the duties, but listen – during Rõivas' time more alcohol excise duty was brought in than had been budgeted for; moreover he did not raise the duty on beer by 70%,'' Mr Ansip continued, referring to later hikes. 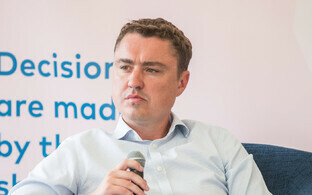 The rounds of excise duty rises are seen as starting under Mr Rõivas' (Reform) two-and-a-half-year premiership, which ended in November 2016. The current tax chaos is affecting people's behaviour, though Mr Ansip would take responsibility for the situation if in office, he continued. The lost €216 million is only the tip of the iceberg; if the state does not rectify things fast, ''envelope money'' (ie undeclared payments) will proliferate, he said. Nor should the current administration pat itself on the back, either for repayment of past debts nor in its metrics in economic performance. ''People say we have large reserves, but it's nonsensical to measure these in euros – instead they should be compared with GDP. Using euros as a metric is a bit like saying if the Lembit had had a machine gun, it would have altered the world map,'' said Mr Ansip, probably referring to the British-built submarine, the EML Lembit, which served in the Estonian Navy of the first Republic and is now in a museum in Tallinn. ''In 2007 we were able to repay €120-130 million in outstanding debts but today the figure is €70-80 million, which is merely the servicing of current debts and not any preparation for a future crisis,'' he went on, with reference to the 2008-2010 economic crash. Mr Ansip said the situation with the government now being in a minority is similarly comparing apples with oranges in relation to the minority coalition he presided over from June 2009. ''We were in a crisis time back then, we had to cut the budget, our confederacy with the sotsids [the Social Democratic Party, SDE – ed.] was spent, and we could see that continuing the same way would get us nowhere. Add to that the situation in Spain, where youth unemployment stood at 50%, we had no alternative to continue as a minority with IRL [present-day Isamaa/Pro Patria – ed. ],'' Mr Ansip continued. His coalition pursued austerity measures in the teeth of the crisis, moves which were deeply unpopular in other areas of the Eurozone and opposed by more left-of-centre parties which SDE embodies. ''We didn't make a conscious decision to continue with a minority coalition, it's just that people either sneaked away or slammed the door behind them; very poor leadership,'' he went on. 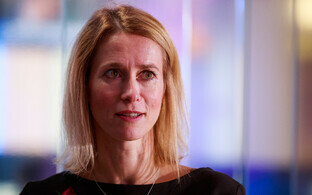 On the current Reform leadership, Mr Ansip praised Kaja Kallas' steps in reuniting the party, following Hanno Pevkur's year long, strife-torn stint as leader. ''Her (ie. Ms Kallas') predecessor managed to rend the party asunder, but people are ready again to work towards a common goal. 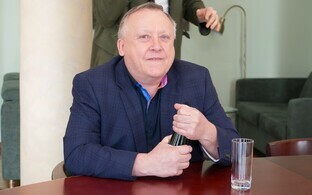 Developments in the party have been positive, and I believe it can get a grip on strong representation in Estonian politics,'' he said. Andrus Ansip is Vice-President of the European Commission and European Commissioner for Digital Single Market. 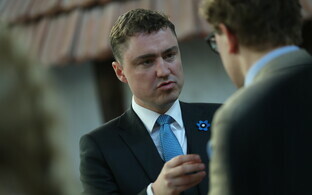 He served three terms as Estonian Prime Minister between 2005 and 2014, and was leader of the Reform Party for a year longer than that.